SlopeEdge is your destination for interesting and practical information for mountain recreational activities. From how-to guides, to our behind the scenes specials and our ski resort video tours, we bring you information and experiences that help you discover outdoor activities at the mountains in a new way. We are mountain sports lovers like you taking photos, recording video and writing about our experiences up in the slopes. So let all this eye-candy get you excited! Or better yet, share your experiences and adventures with us on the forums. Please note that this website is not affiliated or connected to any business depicted within. At the age of 5, my parents helped me navigate the bumps for the first time on Pineault at Camp Fortune in the Gatineau Hills. My passion for skiing really took off once we arrived at Ski Vorlage, the birthplace of my mother's skiing legacy. Snowy days, to long nights under the stars, it was here that I got the itch for skiing and the excitement that came along with it. After several seasons, eventually skiing every resort in the area, I became obsessed with the sport. Over the years, with family and friends, I began to explore more ski mountains, farther from home, discovering many unique, exciting and breathtaking resorts. What makes me excited? Is it the amazing views from the mountain tops, the high speed thrill of carving up the slopes, or a technical curiosity of the ski lifts... one thing is for sure, it's definitely the best way to enjoy the best season of the year, and one amazing life long passion. 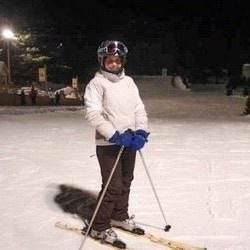 I owe my first skiing experience to my husband who introduced me to this great sport at Mont Saint-Sauveur a few years ago. Previous to this ski weekend, I noticed my husband's contagious passion for downhill skiing through his long-time practice of it, as well as his mesmerizing descriptions, videos and pictures of several breathtaking Canadian mountain landscapes that he has had the fortune to experience mainly through his skiing; I had to give it a try. Exposure to these mountainous environments in Canada has also brought back fond memories of my upbringing in Latin America where I grew up surrounded by the majestic Andean mountains. As a result, I fell in love with the sport and the beautiful scenery of the awe-inspiring Canadian mountains.I am looking forward to enjoying many more ski weekends over the course of the years to come. I started skiing around 1980 with my elementary school program that would bring us up to the now defunct Glen Mountain near Knowlton in the Eastern Townships of Quebec. I wasn't warm to the idea of skiing at first but thanks to my grade 4 teacher, I am glad that she convinced me to go. The Glen ended up being my second home on weekends and days off from school for the winters to follow. 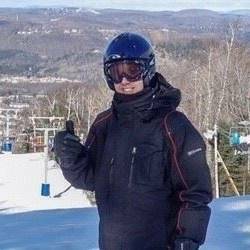 I worked at Owl's Head for 12 years as a liftie in the winter months, and in the hotel during the summers and kept my connection to skiing. 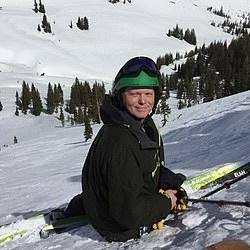 When I left Owl's Head in 2001 for a career change, I left skiing behind as well until 2012 when I rediscovered a new found passion for the sport. I enjoy discovering new ski areas, and I am a bit of a ski lift "nerd" at the same time. There is nothing more stress relieving to me than riding a chairlift and putting my two feet on skis at a ski hill for the day. My other interests are photography, music, hiking, and ski history. I got into skiing early, night skiing at Camp Fortune during elementary school. During high school, I had a season pass which caused a few skipped afternoons. I kept up skiing in high school with some straight all camber 210cm rockets when many buddies switched to snowboards during the early days of the sport. After high school though I basically stopped downhill skiing. I was based in Toronto for a while then Yellowknife up in the North West Territories where snow machining was the thing to do. Finally, when I moved back to Ottawa I decided to get back into alpine. 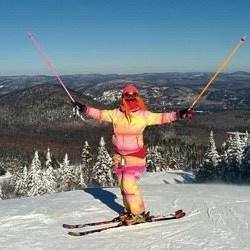 I love downhill skiing... why had I stopped! Well, I bought some used Fischer Wateas 78's 181cms and got back on the hill. You don't forget how to ski. Anyway, I'm now hooked. Look I'm not some expert free rider or ex-racer but I like to go fast and I'll ski in any condition. I've switched up my skis a couple times now slowly moving to wider skis with more rocker. 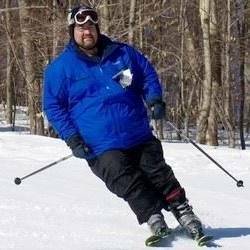 I've also tried Telemark skiing. I love skiing, I love being outside in winter, I love railing groomers and of course breaking fresh tracks in the powder. See you on the hill. Winter is here! Calling all ski, snowboard and snow enthusiasts! Are you passionate about skiing, snowboarding or snowshoeing? Can't let your time on the slopes go undocumented? Do you want to have a place to share your stories? If your answer is yes, then we want to hear from you . SlopeEdge is looking for ski, snowboard and snowshoe enthusiasts to serve as volunteer contributors while sharing their time on the slopes with us this winter in the form of writing, photo and video. We are interested in bringing on board new team members, to help create more content, and to expand our footprint and regions that we cover. As it is a volunteer opportunity, you are free to contribute and post at your own frequency. If you are already documenting your experiences on the slopes through writing, photo and video, you are already doing what we are looking for. We want to provide you a home to showcase the winter content you may already be creating. The main goal of SlopeEdge is to create positive promotion and support of the sport of skiing and snowboarding, as well as the many unique ski mountains available to enjoy and discover across Canada and the United States. We accomplish this through regular ski reports, news and updates, how to guides, ski mountain profiles... just to name a few. We are a fun community of passionate mountain enthusiasts, eager to share our experiences, stories and adventures in the slopes with others. Being part of our team allows you to contribute and collaborate with a fun and creative community that makes positive promotion of the ski industry in our regions. You will be helping others discover new mountains to enjoy and bring awareness of less known ski mountains to the larger public. In addition to enhancing your on-camera and storytelling skills, joining our team will also allow you to build and showcase your portfolio, reach and personal brand. Please send us an email at and tell us a bit about yourself and why you would like to join us. We look forward to working together and helping promote the great mountain sports we all practice in the winter season.